Following the devastating fire that tore through Rio de Janeiro’s 200-year-old National Museum this weekend, we remember how a group of biology scholars joined the drive to renew the Brazilian nation, claiming as their weapon the voice of their fledgling field. Without discarding scientific rigor, they embraced biology as a creed and activism as a conviction—and achieved success in their bid to influence public policy in environmental protection and the rational use of natural resources. The following is excerpted from Regina Horta Duarte’s Activist Biology: The National Museum, Politics, and Nation Building in Brazil. In the 1920s and 1930s, the scientists who worked at this institute in Rio de Janeiro hoped to transform it into a hub that would radiate knowledge to the farthest reaches of Brazil. During those years, the museum staff devoted itself tirelessly to re-creating the National Museum and staking claim to a new role for it. They couldn’t begin to imagine television or satellite dishes, but they trusted in print, movies and radio, exhibits, and educational methodology as efficacious methods for disseminating the new knowledge and new practices that they were convinced would transform Brazil. The National Museum already had a long history behind it by then. King Dom João VI of the United Kingdom of Portugal, Brazil, and the Algarves had founded it in 1818. His court had fled Lisbon shortly before the city was invaded by Napoleon’s troops in 1808, and once settled safe and sound in Brazil, Dom João VI did his best to prepare Rio de Janeiro for its new status as the political and administrative center of the kingdom, a process that transported the seat of the European empire to the heart of the old Portuguese colony. The Royal Museum—as it was then known—emulated Old World museums by gathering collections representative of the entire globe. But the spotlight was on the Portuguese Empire, spread across the European, African, Asian, and South American continents. From its founding on, the museum played a decisive role in the development of natural history in Brazil. The establishment of the museum figured into a broader nineteenth century trend around the world to set up natural history museums as “cathedrals to science.” By 1910, there were some two thousand museums of its kind. In Latin America, natural history museums enabled exchanges between naturalists while connecting different points of the globe. In cities like Rio de Janeiro, Buenos Aires, Santiago do Chile, Montevideo, Bogotá, and Caracas, new institutions continued to open their doors throughout the nineteenth century, most always concomitant with processes of achieving independence and nation building. They were home to enlightened elites who combined their experience as locals with intellectual training in Europe, but they were also frequented by foreign naturalists eager to research the flora and fauna of South America. National governments wanted to undertake inventories of “their” nature and would often hire teams of foreigners to lend impetus to natural history. The daily routine at nineteenth-century museums in Latin America reflected the challenges specific to the continent’s historical context. Foreign scientific expeditions often took everything they gathered back to Europe, leaving nothing to the institutes that had welcomed and aided them, much to the discontent of local science communities. The piecemeal nature of local collections left Latin American naturalists at a tremendous disadvantage vis-à-vis their foreign peers, whose institutes boasted enviable collections. Latin American museums also had to cope with periodic political turmoil, which occasioned wild fluctuations in government funding and other support. As Nancy Stepan has said, a great deal of progress came thanks to the individual efforts of naturalists in the absence of any collective, institutionalized, stable climate. Teaching institutions emphasized a liberal arts education in a framework where there was no real way to train researchers in scientific work. 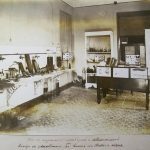 There was a paucity of equipment and bibliographic material, scientists enjoyed little prestige, and agricultural and industrial modernization was not yet hardy enough to provide new sources of support for science. 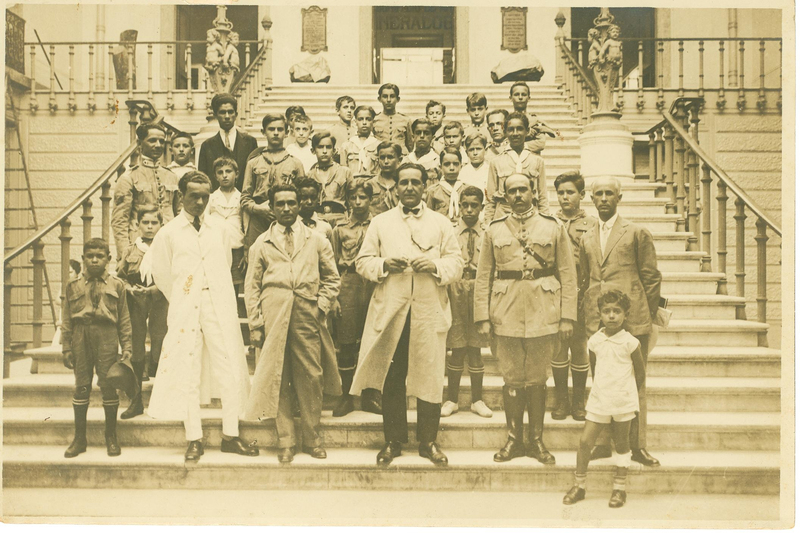 Teachers leading students on a class trip to the National Museum, 1930s. Revista de Educação Pública 8:33–40 (1951–52): 51. Courtesy of Fundação Biblioteca Nacional. Many aspects of the history of these museums give nuance to the traditional view that naturalists working in Latin America were members of cloistered scientific communities. Over the course of the nineteenth century, while Brazil’s National Museum was becoming a place for public exhibits, it was also making room for new fields of knowledge in its various departments—like paleontology, anthropology, comparative anatomy and zoology, botany, mineralogy, geology, and archaeology—reflecting the institution’s attention to research and its tendency to develop specialized fields. From 1876 to 1893, during what was known as “the golden age of the National Museum,” the institution saw substantial changes under the direction of the naturalist Ladislau Netto. Its collections grew through exchange programs with European and Latin American counterparts and thanks to national expeditions financed by the imperial government. The old monarchical tradition of handpicking personnel by appointment was replaced by the requirement that new hires take qualifying exams on scientific topics. Foreigners like Charles Hartt, Fritz Müller, Hermann Von Ihering, Emílio Goeldi, Carl Schwacke, and Orville Derby were recruited and had plenty of opportunity for the rewarding exchange of experience and knowledge with Brazilian scholars. 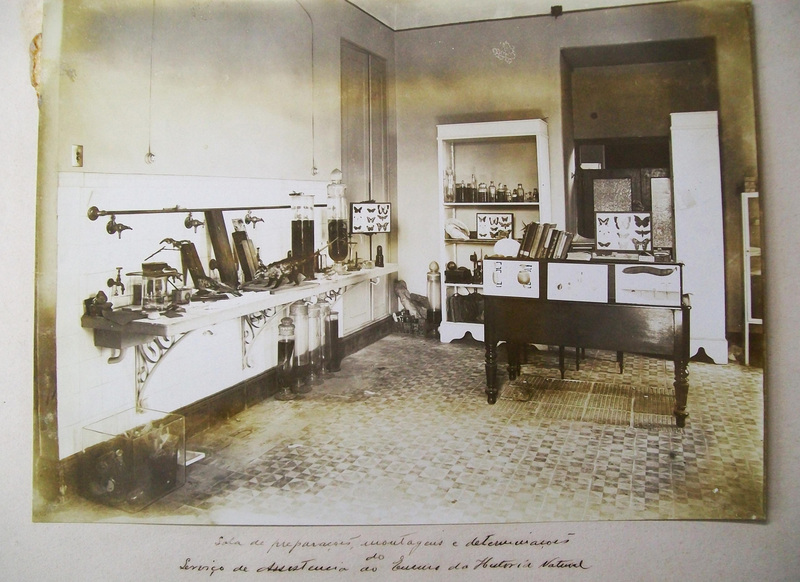 The establishment of a laboratory for experimental physiology and the launching of a science journal in 1876 (Arquivos do Museu Nacional ) energized the museum and cleared the path for its naturalist members to advance in their professionalization. The institute’s collaboration with the Brazilian presence at universal exhibitions was also important. The country wanted to make a place for itself on the world market and to be counted as a civilization in the tropics. It was not just its commercial interests that were at stake; so too were the exchange of scientific and technological know-how and interaction between the National Museum and foreign science institutes. No less important was the organization of Brazil’s National Anthropological Exposition in 1892, where the exhibiting of hundreds of ethnographic objects fed the lively contemporary debate on race, people, and the Brazilian nation. Like other museums in Latin America—for example, the Argentina Museum of Natural Sciences (now the Bernardino Rivadávia Museum of Natural History), in Buenos Aires, headed by Hermann Burmeister—Brazil’s National Museum experienced such profound changes during these years that it was almost like starting over. As naturalists reclassified nature, as knowledge grew more specialized, and as scientists and observers began relating to collections in new ways, these collections underwent extensive reorganization. In pursuing this new vision, the museum entered into the wider debate about “national being” and introduced a state “optic”—to use Andermann’s term—of the items on display, thereby transforming a tour of the museum into a civics lesson. In 1889, the army, with the backing of the agro-exporting elites, toppled the monarchy, and Brazil became a republic. As much as civilian republican groups had hopes for a new democratic order, the institutions of the fledgling republic were predominantly individualist and liberal in nature, and most citizens were denied their political rights, since illiterates were prohibited from voting. Although slavery had been abolished under the monarchy, in 1888, the early decades of the republic witnessed no advances in civil and political rights; instead, it was an era of “exclusionary liberalism,” or “oligarchical liberalism,” marked by political accords between powerful elites, underwritten by fraudulent elections. The Constitution of 1891 delegated broad fiscal and administrative autonomy to the states and territories, benefiting the chief commodity-producing states, like coffee-rich São Paulo and the rubber centers of Pará and Amazonas. Under the influence of some republican sectors, the nation’s charter also bore the imprint of positivism, translated into a complete separation of church and state and the absence of any official religion. The republic would recognize marriages, births, and burials as civil processes, and religious teaching would no longer be mandatory in schools. Boy Scouts on a visit to the National Museum, December 1927. Série Documental Museu Nacional. Courtesy of Arquivo Múcio Leão, Academia Brasileira de Letras. In the early years of the republic, the museum faced several hurdles. The new government abolished the post of traveling naturalist and demanded the daily physical presence of all researchers. In practical terms, this meant naturalists could not make research trips and instead had to stay in their offices. Some of the top staff left, Fritz Müller among them. A number of wealthier states, like São Paulo and Pará, opened their own natural history museums and managed to attract naturalists like Goeldi and Von Ihering. The federal government itself established applied research institutes, which became the country’s first centers for biological research, such as the Oswaldo Cruz Institute in Rio de Janeiro and the Butantan Institute in São Paulo. Shortly after the Proclamation of the Republic, the National Museum saw its prestige enter a period of steady decline, while other centers began their ascent, offering bigger budgets and additional amenities that could attract the most eminent researchers—a status quo that was not to change until the late 1920s. The 1920s indeed brought change to Brazil. World War I had ended, as had the optimism of the Belle Époque. The coffee glut and the demise of the Amazon rubber boom in the face of stiff competition from Southeast Asia spelled economic hardship. Anarchist and communist union movements were on the rise, alongside conservative Catholic movements. Modern Art Week, an arts festival held in São Paulo in February 1922, signaled artistic restlessness. Young military officers joined the armed movement known as tenentismo, while the Prestes Column engaged in guerrilla warfare and cangaceiro bandits ran rampant in Northeast Brazil. In 1922, this turmoil was reined in by a government imposed state of siege; the press was censored, and the various movements that opposed the oligarchical Republican project were repressed. From the very dawn of the twentieth century, countless intellectuals had criticized the reigning oligarchical regime, holding it accountable for the highhandedness of local authorities and the fact that people had been left to fend for themselves. More voices entered the debate about the roadblocks to nation building. Attention became focused on the vastness of the Brazilian land, on its people trapped in misery, illiteracy, and disease, and on the wholly irrational destruction of its natural riches. The prevailing political and economic liberalism was called into question, decried as excessive, and critiqued for motivating selfishness, while centralization of power was posited as an alternative raised above individual interests. Solutions were proposed for a political and institutional system that demanded more than the mere consensus of the elites and that would transform Brazil’s near nomadic population—until then rebuked as inferior—into healthy, educated, and hard-working people, indispensable to the building of a nation. These intellectuals urged society to adopt new attitudes toward nature; Brazilians needed to learn about their country’s flora and fauna, its water resources and landscapes—and learn to value them—while the state had to effectively regulate environmental protection areas and national parks and exercise control over the exploration of natural resources throughout the national territory. Based on an authoritarianism characterized by voluntarism and an obsession with education, they believed that if the Brazilian people, in its most genuine expression, could be brought onto the stage through suitable measures, the result would be the emergence of a popular culture duly civilized through learned knowledge and superior reasoning—to wit, “authentic” nationality. From 1926 to 1935, the National Museum regained momentum under the leadership of Edgard Roquette-Pinto. The institute modeled itself as a prime space for educational intervention and for the coordination of pedagogical projects for the people of Brazil, as well as a place where knowledge was produced. It introduced and enforced a bold and experimental multimedia project. 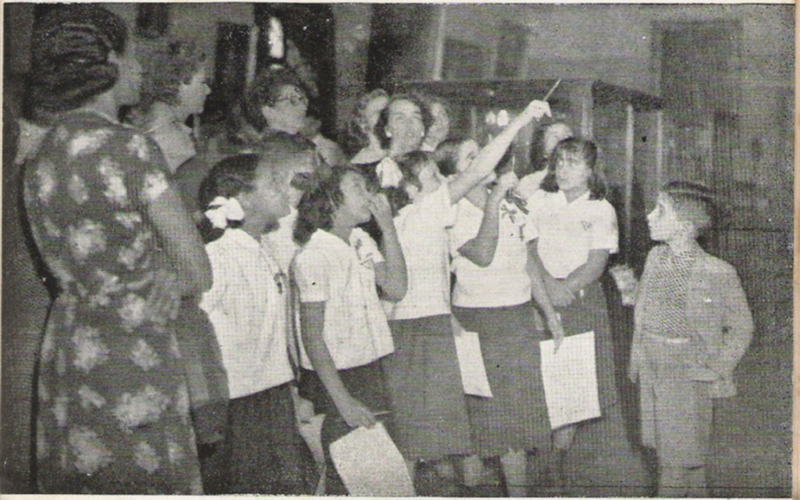 As urban life and consumption became increasingly sophisticated in the city of Rio de Janeiro, where the museum was headquartered, its staff members embraced the era’s new means of communication, optimistic that new technologies would allow them to span the chasms yawning between them and Brazil’s ordinary men and women, lost in the vastness of their country. The National Museum was home to a collaborative effort that drew researchers from an array of fields; they engaged in surprisingly varied initiatives that were not confined to the premises of the museum but reached into other institutional and social domains. Staff members like Roquette-Pinto, Alberto Sampaio, and Cândido de Mello Leitão organized public exhibits unprecedented in the history of the institution. They threw themselves into the Biblioteca Pedagógica (Educational Library) editorial project, headed by Fernando Azevedo, and particularly into its Brasiliana Collection, whose ultimate purpose was “to reveal Brazil for Brazilians.” They launched the journal Revista Nacional de Educação, a forum for science communication aimed at the broader public, whose circulation reached 15,000. They set up a radio station specializing in educational programming and ventured into cinema and the production of educational films. They organized notable events like the First Brazilian Congress for the Protection of Nature, in 1934. They led prolific scientific lives, participating in cultural exchange and attending international congresses. They helped make public policy, including the draft bill for the Game and Fish Code, which lay behind the law decreed by President Getúlio Vargas on January 2, 1934. They joined science associations and other civil society organizations. In fulfilling their “pedagogical mission,” the museum staff relied on a range of media, including print, photography, exhibits, movies, and radio programs. Its scientists also maintained close relations with the ruling powers and with other spaces that generated knowledge. Throughout their experiences, these men of science worked and thought collectively, constructing knowledge through frank dialogue. Moreover, they worked to accrue the technical expertise essential to the practical realization of these manifold projects. The organizational heart of the activities and exhibits at the National Museum was certainly “the Brazilian nation,” and the burgeoning of biology as a fully established discipline figured largely in this work. Although the field had existed in Europe since the mid-nineteenth century, it was only in the early twentieth that biology laid down roots in Brazil. The troublesome presence of sick, ignorant, rebellious people was a quantitative and qualitative problem begging for a solution, and biology, as a “master of life,” was capable of addressing these ills. It lent itself to a variety of nationalistic practices fashioned within an authoritarian, salvationist political culture. In the eyes of the museum staff, the field of natural history could describe and name things but could not address the full complexity of life, so it was unable to confront the challenges of Brazilians in distress. Biology, on the other hand, was a decisive form of knowledge, which supported scientific medicine and was based on scientific laboratory practices in the fields of physical anthropology, entomology (especially as applied to agriculture), eugenics, the theories of evolution and genetics, and even phytogeography, zoogeography, and ecology. At a time when biology was taking shape as a field of its own, separate from (but not better than) natural history, the National Museum endeavored to renew its practices and present itself as an institution in step with the changing world of science. Some of its members also belonged to the Brazilian Academy of Sciences, founded in 1916, which valued specialized experts more than wise generalists, and they worked hard to earn esteem as scientists from specific fields. Yet in its practices, the museum displayed a dynamic and contradictory tendency: although many of its members wanted very much to become specialized scientists, their work with different media formats and with science communication took place in an atmosphere of blurred boundaries between the disciplines. While striving to make a name for themselves in scientific circles, these scientists also sought government backing for their projects. Most importantly, they wanted themselves and their institute to play an active part in public policy making, and in this way their scientific activities constituted veritable political strategies. 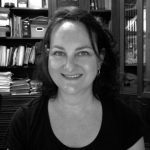 Regina Horta Duarte is a professor of history at the Universidade Federal de Minas Gerais, Brazil. She is the author of several books, including Noites Circenses: Espetáculos de circo e teatro em Minas Gerais no século XIX and História e Natureza. She is a founding member of the Sociedad Latinoamericana y Caribeña de Historia Ambiental, and she was the founding editor-in-chief of the journal Historia Ambiental Latinoamericana y Caribeña. In Activist Biology, Duarte explores the careers of three of these scientists as they leveraged biology as a strategy for change. Devoted to educational initiatives, they organized exhibits, promoted educational film and radio, wrote books, published science communication magazines, fostered school museums, and authored textbooks for young people. Their approach was transdisciplinary, and their reliance on multimedia formats was pioneering. Capturing a crucial period in Brazil’s history, this portrait of science as a creative and potentially transformative pathway will intrigue anyone fascinated by environmental history, museums, and the history of science. Duarte skillfully shows how Brazilian science furthered global scientific knowledge in ways that are relevant now more than ever.